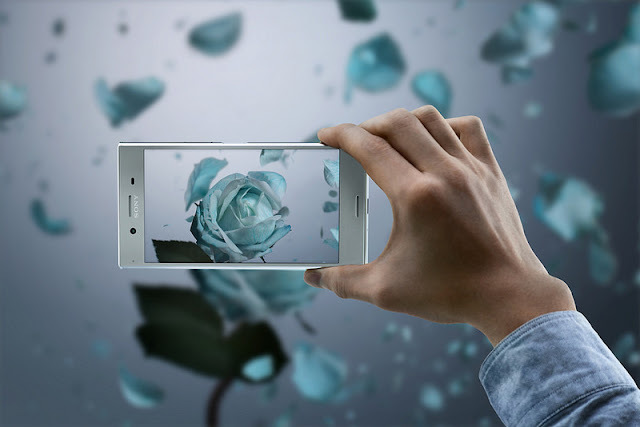 Sony Mobile Communications announced its most ground-breaking smartphone to date, Xperia XZ Premium, with a camera so advanced it captures motion that the human eye can’t see, a beautiful 4K HDR display, super-fast download speeds, a stunning loop design and even more intelligent features. Encapsulating decades of Sony innovation, Xperia XZ Premium incorporates imaging know-how embedded on Sony ‘α’ and Cyber-shot™ cameras to create the new Motion Eye™ camera system, for capturing life in ways no other smartphone can. The first smartphone to feature a memory stacked Exmor™RS sensor usually only found on premium compact cameras, it provides 5 x faster image scanning and data transfer. This means you can create sensational videos from your everyday moments by recording in 960 frames per second, providing Super slow motion video playback that is four times slower than other smartphones giving you more detail than has ever been possible in the palm of your hand. Plus Predictive Capture stays one step ahead and automatically starts buffering images when it detects motion even before you press the button, so you can find a moment your eye may just have missed from a selection four shots taken a second before you clicked. On top of this, the new 19MP high resolution sensor has 19% larger pixels to capture more light and provides exceptional detail and sharp images even in low-light and backlit conditions. Additional improvements have been made inside Motion Eye™ to the Bionz™ for mobile processing engine meaning you’ll get sharper motion images without noise. Whilst clarity, detail and texture are improved to give exceptional image quality thanks to the redesigned G lens. Xperia XZ Premium is powered by the cutting edge Qualcomm® Snapdragon™ 835 platform, making it one of the very first smartphones capable of Gigabit Class LTE (up to 1Gbps). This is possible because of the integrated Snapdragon X16 LTE modem, which has the potential to transform how customers use their mobile devices by delivering fibre optic speeds on the go. The Snapdragon 835 platform also supports stunning graphics, superior performance and enhanced battery efficiency. File transfers are also super-charged thanks to the USB 3.1 connection which is 10 times quicker than USB 2.0 with a transfer speed of up to 5Gbps. And with the USB Type-C™ socket, plugging in is easy because the connector is always the right way up. With so many advanced technologies working in harmony, it is only fitting that the Xperia XZ Premium has a harmonious design to match, making it beautiful on the inside and out. The exterior has an exquisite glass loop surface which when turned over reveals a luxurious mirrored effect on the back. Every aspect of the XZ Premium is unified, from its seamless flowing lines and intuitive finger-print sensor power button to the new live wallpaper which moves the elegant lops as you swipe, to the colours you see on screen which are matched to the beautiful colours of the exterior. 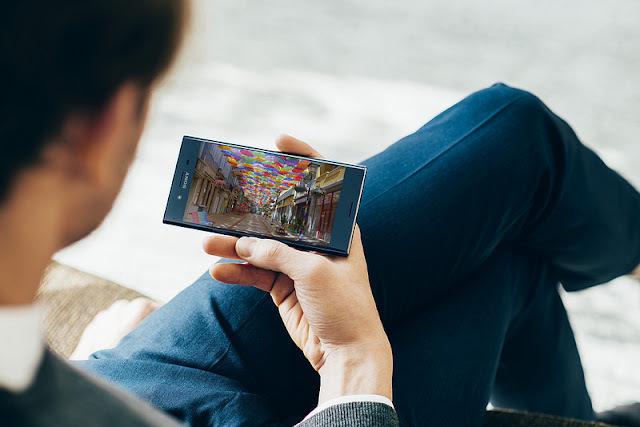 Taking intelligence to the next level Xperia XZ learns how you use your phone and adapts and makes recommendations to give you our most smartest and personal experience yet. The battery is maximised with Smart Stamina which uses the Xperia learning engine to accurately estimate how long your current battery will last based on your normal usage. It even warns you if it detects you’re going to run out of power later that day and prompts you to activate Stamina mode. Battery Care and Qnovo Adaptive Charging are also included to protect your battery and keep it healthy up to twice as long. The Sony experience is continued through to the audio and gaming capabilities. High Resolution Audio playback allows you to hear every nuance and detail in a track as if you’re right there with the artist. Sony’s native DSEE HX™ technology even up-scales streamed tracks or MP3s to near High-res quality and if you connect with wireless speakers or headphones, LDAC ensures you don’t lose a drop of sound quality by transferring three times more audio data than normal Bluetooth. 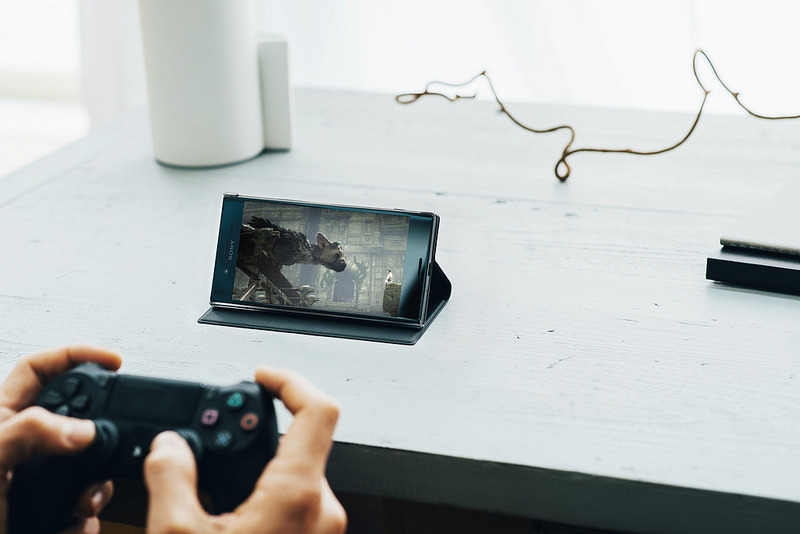 Working with your PlayStation®4 console, you can play the latest cutting-edge games on your Xperia XZ Premium. Its advanced processing and fast memory access means gameplay is always smooth and responsive, plus the 4K screen and powerful stereo speakers make it feel like you’re actually in the game. Availability, RRP and colours for the Xperia XZ Premium in South Africa is yet to be confirmed.